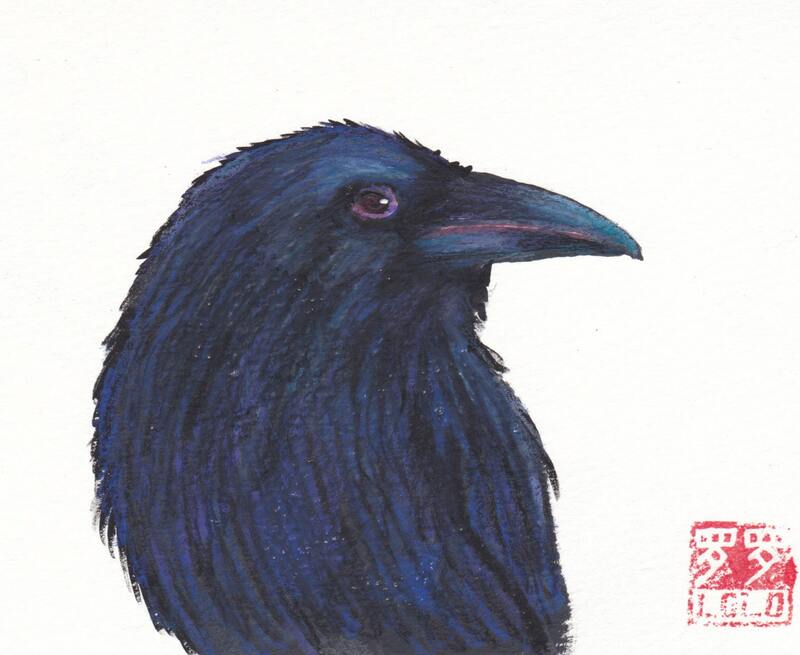 This is my favorite raven painting to date. I love his expression and colors as well as the stark white background. Each card measures 4" x 5" and comes with a matching envelope in a cello sleeve. All of my cards are always buy 5, get one free! Convo me if you'd like more than one.